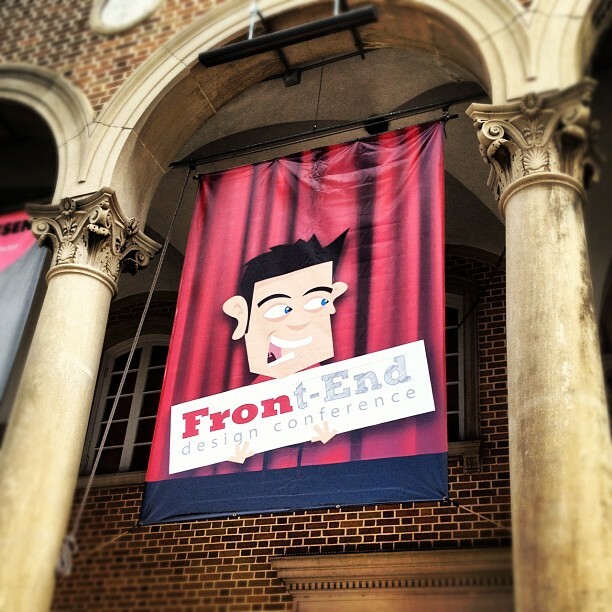 Once again, I made the trek over to St. Pete for the annual Front End Design Conference. This was the fourth year for the conference and I have not missed one yet. I am just going to touch on some things I took away from the weekend. Others have done a great job of documenting the day and Dan Denney has put together a great resource on the Front End site that has links to the speaker’s slides. I will include links to these at the end of this post. The talk that has stuck in my mind the most is the first one of the day by Jason Van Lue. The main premise of Jason’s presentation is that design is about solving problems. This is not a new concept to me but it is always great to come back to this perspective and think about what that means. My big takeaway was to remember that design (or development) is about solving everyday problems for people. We are not in this business to gain attention or notoriety. Our primary purpose is to solve problems for our clients and their audience. Unfortunately, we can forget this. The reality is that most people may not know what we do or be familiar with our work. But we are making a difference and changing the world each day as we apply our skills to solve the problems before us. And just because our work does not have the permanence of other mediums, does not lessen it’s significance. It is nice to have people recognize and appreciate your work. If you are doing great work, it will be noticed. But that notice may not be broad. And we need to be okay with that. We need to remember why we do this–solving problems for people; the ones on the other side of the screen and the people who hire us. I had a conversation with Dave Rupert the night before the conference. He mentioned how we have a lot of people creating plugins or the such, but not really taking the time to explain the problem they were trying to solve or the whys behind their solution. This has led to a lot of people using plugins but not really thinking through if it is the right solution for their specific problem. Dave would like to see more people document their process. This will help others to learn and help us to better evaluate if a plugin or solution is the right one for our specific need. Dave was not the only speaker to issue this challenge. Darcy also talked about it in his presentation on Front End Techniques for the Modern Web. One example that Dave shared in his presentation was Jason Weaver’s Off Canvas. Jason describes the concept and shows proof of the concept by applying the solution to his microsite that explains it. Dave said this is a great example of talking through the process so that others can learn and understand if it is the right one for you. One of the things I love about going to this conference is connecting with other people. 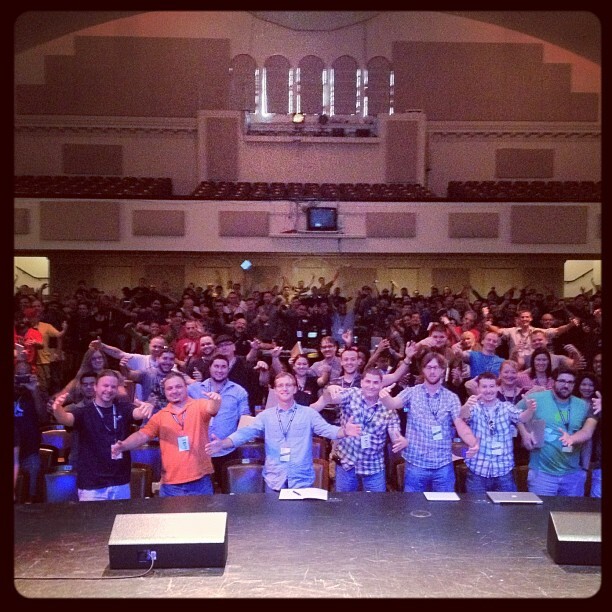 It is a small and intimate conference that provides many opportunities to hang out with people. I am not sure I have been to another conference where you have such access to the speakers. It is great to meet new people and catch up with those that I have met at previous conferences or know from my networks in Orlando but just don’t see that often. I love being able to come into the environment of this conference and talk about something I care deeply about. And to talk about it with others who are so passionate about it. I was really impressed with the talks I heard on Day 2. So many sharp people in this industry. There is something refreshing and energizing about being able to hang out, talk shop, hear what amazing things other people are doing, and just be inspired. For me, this is was the thing I enjoyed most about attending this year. This year I took advantage of the opportunity to speak on Day 2. Each year, Dan Denney gives conference attendees the chance to do a 15 minute presentation. This year, the talks were on the same big stage as the main event. This was a great personal development opportunity for me. Public speaking is not something I would naturally gravitate toward. But I love being able to share things that I have learned and help connect people to things that will help them in their life and their work. This was a great opportunity to commit to doing a talk, preparing it over the last month, and then having the chance to share it with other attendees. The great thing in an environment like this is that your audience is for you and they want you to succeed. I received a lot of encouragement from people when I mentioned I was going to give my talk. And I appreciated the feedback I got on Twitter afterwards. I was a bit more nervous than I would have like to have been and I can find all kinds of things that I wish I had done better. But in the end, my talk served it’s purpose. And I went for it. And so glad I did. I am a big fan of this conference. It is a steal of a price. It is small and intimate. You have access to the speakers (I got to eat dinner with several of them and enjoyed just hanging out). And the talks are always awesome. They are always on topics that are big or will be big in the industry in the months ahead. And finally, Dan and Cherrie Denney know how to put on a quality event. Page Break Podcast – Niki and Liz do a recap of the conference over 3 snippets (episodes). I enjoyed listening to the first one and look forward to another this week. Thank you for the support, as always. You have always been one of our most vocal supporters. I really appreciate you taking the time to put this together as I know what goes into it. I’ll be sure to have it and all of the other summaries linked up on the site. Once we have the video ready, we’ll swap over to your thank you/wrap-up page. Great writeup, thanks for the kind words Jeff!